The Ruination originally started as a side project in January 2008 to enable its members to branch out from their dub reggae beginnings and expound upon the collective whole’s diverse musical interests. The quintet features effected drums, congas & percussion, bass, guitar, electric organ, effected saxophone, and various other synth sounds. The Ruination aims to create soundscapes drawing heavily on reggae, dub, down-tempo, hip-hop, drum and bass, and funk rhythms. These soundscapes provide an already detailed canvas for the group’s soloists’ improvisations and experimentations. With these elements together, The Ruination creates an eclectic sound that is wholly original in both style and substance. 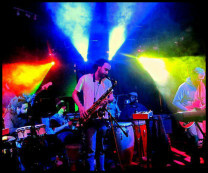 In October 2009 The Ruination independently released a self-titled album and has since become a mainstay at Speakeasy's "Free Acid" event series, incorporating a deeper, darker psychedelic sound. With the upcoming release of the Wham-Blam mixtape and the full length yet-to-be-titled LP, the band has become revered for their spaced out live shows and frequent collaborations with some of Atlanta's most revered musicians. Oh, and lasers, lots of lasers. 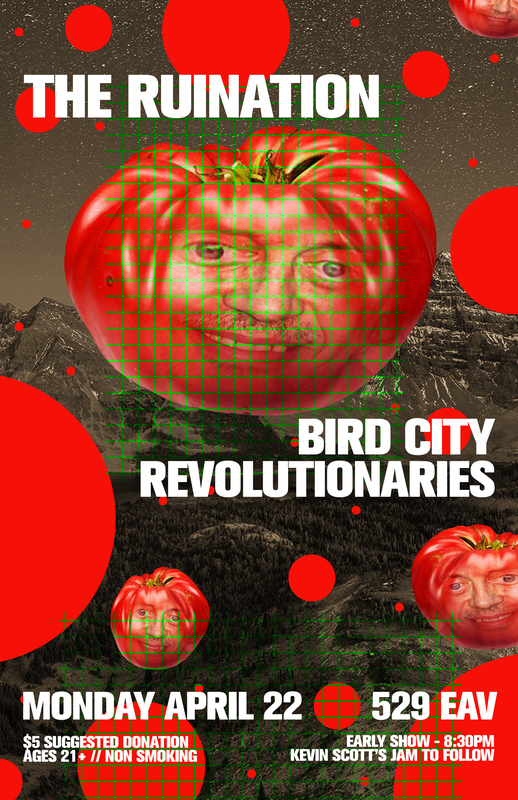 Bird City Revolutionaries are the rising phoenix ascending from the ashes comprised of seven uniquely talented and highly motivated musicians who are ready to take flight!!! Keep your eye on the sky!! !